The two posters from last year’s Tyler Perry’s Why Did I Get Married surprised me. The teaser because of it’s visual design and the main poster for what I thought was a very refreshing and effective lack of cynicism. Well, it’s another year, which apparently means another Tyler Perry movie and another surprising poster, this time because of the bold sparseness. The poster has just two elements. The first is an overstuffed bag which also serves as the canvas for the title and credits. The bag is placed on one of the corners instead of taking the center of the image. Diagonally from it we have the tagline occupying the other corner, and in between a lot of white space. The lack of elements and their positioning gives the poster a design that, if not unique, is at least different enough to call attention to itself. And I think there is a certain beauty to the cleanness of the whole image. 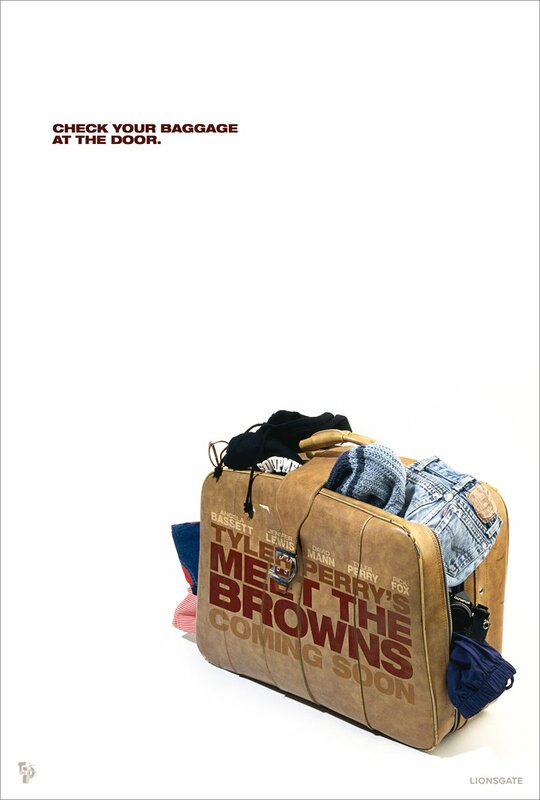 Besides that, the bag combined with the tagline do a great job of conveying succinctly the basic storyline and some of the main themes of the movie: someone traveling and the chance for growth and to leave the past behind that that trip offers. This is just a teaser poster, which means that we should have another poster down the road that will make it more clear that this is a Tyler Perry movie and that will highlight the actors involved. This, combined with the strength of the Tyler Perry brand allows the poster designers to be bolder. But even considering that, the choices made here surprise and please me. I can only hope that Tyler Perry’s movie’s keep getting posters as good as the last few have been.